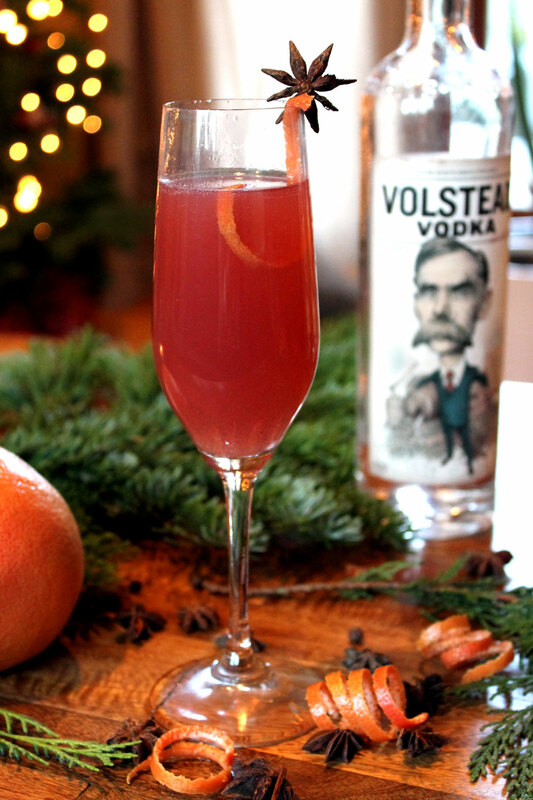 We love using local products in our mobile bar and we care about the ingredients that we put into our craft cocktails. 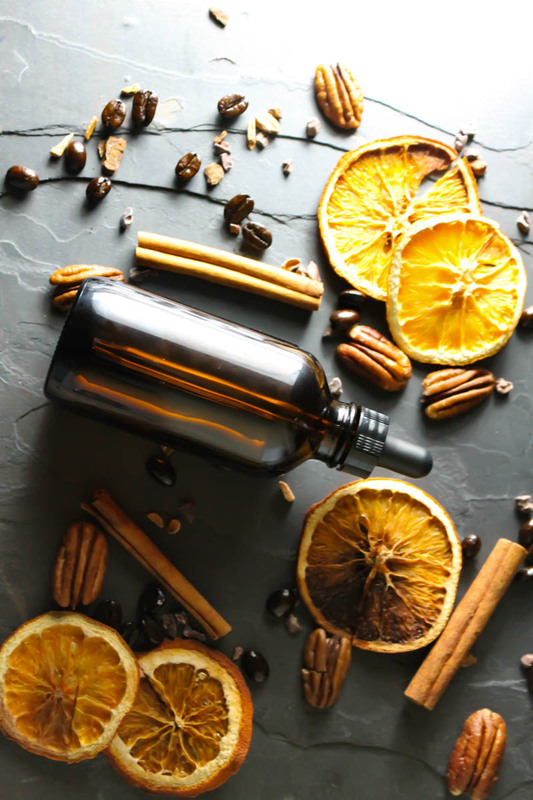 We wanted to talk to a distillery that shared our values when it comes to using local, quality ingredients, and strengthening our community, so an obvious choice was Bull Run Distillery. 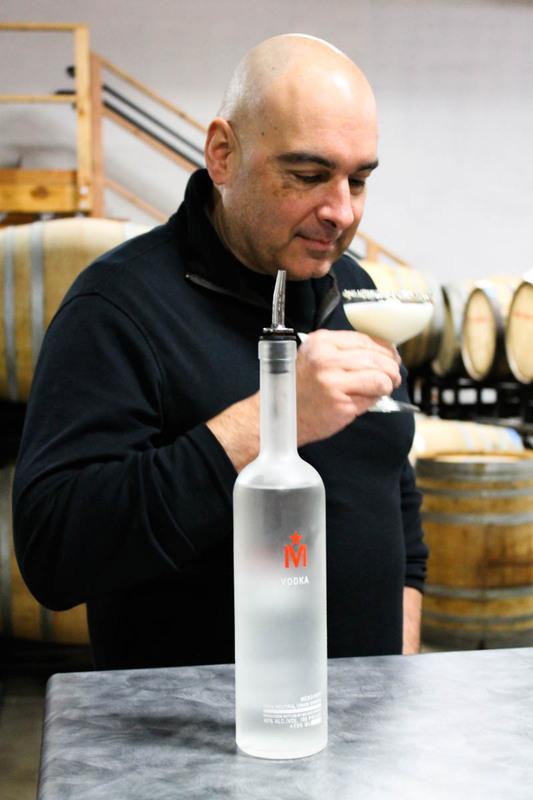 Bull Run Distillery was co-founded by one of Oregon’s most recognized distillers, Lee Medoff. 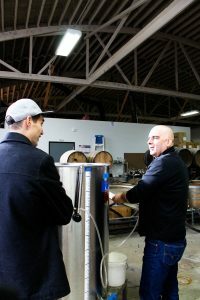 When we got to Bull Run we were so excited, and honestly a little bit nervous to talk to to such an accomplished and influential person within the micro distilling industry. We were welcomed warmly and Lee and everyone on the Bull Run team was an absolute delight and so down to earth. In 2010 Lee parted ways with House Spirits and co-founded Bull Run Distillery, which focuses primarily on whiskey. Simply put, distillers use fermented grain which is essentially beer to make spirits. 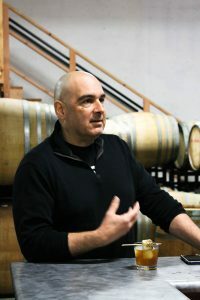 Lee believes that because the Pacific Northwest’s most noteworthy beers are 100% malted barley so should their whiskies. His Single Malt Oregon Whiskey is robust, complex, and spicy. The grains are sourced from the Klamath Basin and the water is from the Bull Run Watershed. 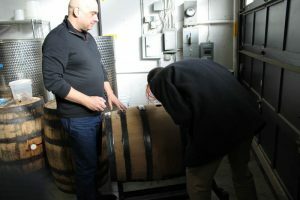 Lee would like to create standards for an Oregon style of whiskey, similar to those of bourbon and scotch. This would help classify the broad styles of different whiskies that are being produced and aid consumers in making educated purchases. While Bull Run’s primary focus is on whiskey, they also create equally delicious vodkas, aquavit, and are planning to release an aged rum in the near future. While Lee and the team were showing us around the distillery we were fortunate enough to try some of the rum right out of the barrel! We also got to try their truffle vodka that they release annually for the Oregon Truffle Festival. And oh my god! It is so good! 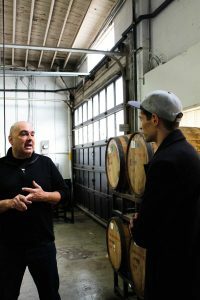 When we asked Lee about the explosion of craft distilleries in Oregon, he smiled and said, “We are stronger in numbers.” That really stuck with us, and we agree. We are especially drawn to Bull Run because of their high commitment to collaborating within the community. 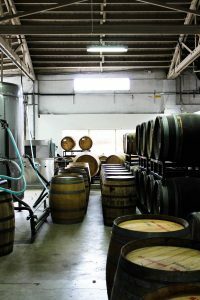 Bull Run currently has a barrel exchange program where they pass on their used barrels. They have worked with breweries, wineries and even a hot sauce company to create a barrel aged hot sauce out of ghost peppers. Lee noted that being a part of the community is essential. Not only has it helped drive sales, but it also helps promote general knowledge of the craft spirits industry. Ten years ago people were surprised by craft distilling and even questioned the legalities of it. Whereas now, due to the huge rise in distilleries, the public is much more aware of it. Even though there may be more competition among craft distillers, Lee says he prefers it this way. Lee values that consumers are aware of the quality, well crafted spirits that are available to them. After talking with Lee we had a chance to see his bar, make him a few drinks, and let him unwind while we got to play with his spirits. We wanted to create a cocktail that represented Lee’s journey into distilling as well as push our creative boundaries. It only seemed fitting to make a beer cocktail. 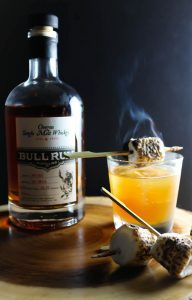 We used a malty barrel aged stout and Bull Run’s Single Malt Whiskey to make this delicious cocktail that we are calling the Urban Campfire. Add whiskey, honey syrup, tobacco bitters and shake. Add stout and strain into a glass. Garnish with a toasted ‘mallo. We were so thrilled about the Urban Campfire and how well the whiskey and beer complemented each other that we made six more cocktails highlighting Bull Run spirits mixed with different styles of Pacific Northwest beer. We’ll be sharing them with you soon, in the mean time check out our menu page for cocktail inspiration! We are excited to meet up with Bull Run Distilling again at Toast 2018 on March 24th. This is the 8th annual event, and is expecting over 50 micro distilleries to attend! That’s a lot of spirits to try!